ariPack is an effective solution for managing production on packing & packaging lines, tailored to each operator. It provides information on & permits the analysis of output and resources, using operator-specific labelscompatible with the labels of the end customer. It is an open, integratable solution. It can be integrated with the rest of the equipment on the line, e.g. with the checkweigher. This means that the output per operator and the quality (weight) can be recorded. Daily monitoring of production (OK and rejected units) per operator, per shift, per type of product, etc. Quality of production:Weight. Data for each operator and each product type on rejects, excess weights & average weight.Automatic sorter. Information on rejects due to defects. User-friendly:Real-time. Each operator can see how the system detects their units.Statistics. Exhaustive, easy-to-interpret information on packing is provided in graphic form. The solution can be developed in full,on a turnkey basis. This means that data are collected in real time from other equipment in the line: checkweigher, automatic sorter, etc. 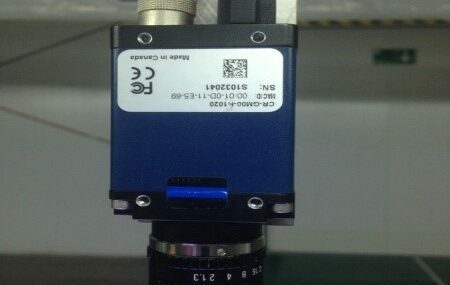 The labels attached to each unit may be alphanumerical, Data Matrix-QR or bar code in type. Precision. High precision even with small labels. Speed. U/p to 60 units per minute. Sturdiness. Readings on close to 100% of units are assured. ariPack enables an entire packing system to be managed from a single line. Accurate, reliable calculation of the output of each employee. Productivity trends per shift, hour or day. Trend in output per employee. A useful tool in case of complaints, for unequivocally identifying when a faulty unit was produced and by whom.